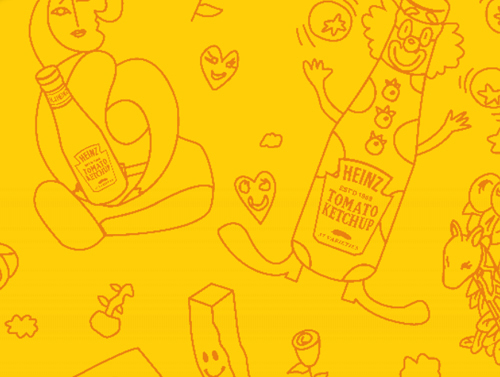 Heinz Ketchup today announced their fifth annual Ketchup Creativity Contest. Participants will be asked to re-imagine the iconic ketchup bottle label with the grand prize winner receiving a cash prize as well as having their artwork produced and distributed on the classic container. Over the past five years, the Heinz Ketchup Creativity Contest has generated more than 105,000 entries from thousands of schools nationwide. This year, the contest will celebrate the talent of 12 more budding artists, from grades K-1 through 12, and award one grand prize winner with a $5,700 cash prize. The grand prize winner also will have their artwork showcased on Heinz Ketchup bottles, scheduled to appear on store shelves in the 2011-2012 school year, and receive a visit at their school from world-renowned Pop artist Burton Morris. Check out www.ketchupcreativity.com for more info.